These heavy weight string knit gloves feature a reversible pattern that provide extended wear. 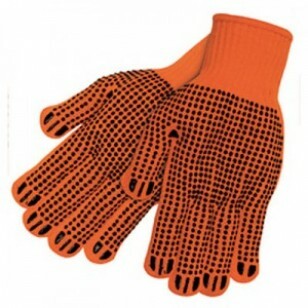 Black PVC dots with paws on fingertips ensure a secure grip. Its bright orange color makes it easy to spot while working. Ideal for refrigerated areas, general maintenance, construction, parts handling, shipping / receiving and automotive plants.